The Mane Objective: Natural Hair + Beat Faces...Is It Really Necessary? Natural Hair + Beat Faces...Is It Really Necessary? 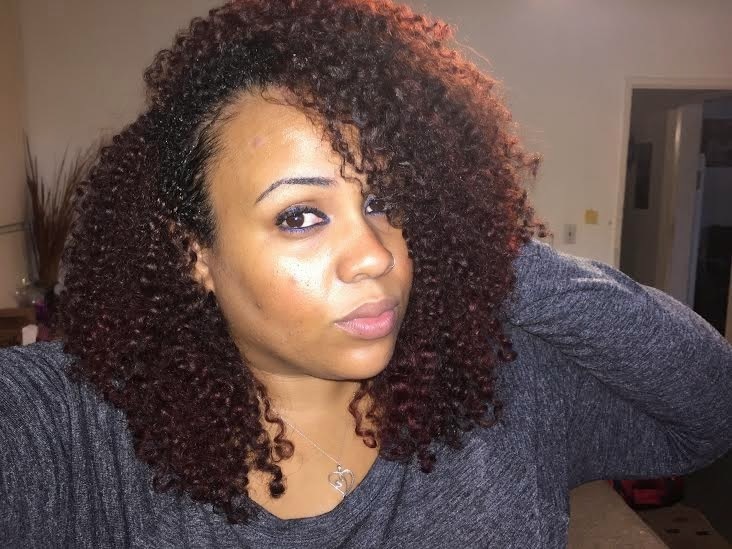 Note: I read some of the comments on NaturallyCurly.com. I knew this was going to be a controversial topic -- and ya'll know I'm always here for healthy debate. You guys know I'm not the shade-throwing type, I simply raise questions and I'm equally interested in contributions from all perspectives. But what I'm not here for is draggings. You don't have to agree with me, or with anyone in the comment section. I can respect differences in opinion, because we have differences in experience. Just don't be a petty betty, please. Let's keep it classy ladies! Wash and go, no makeup, no earrings, and no jewelry -- save for my nose ring and anniversary necklace. I own only a handful of makeup products, and know even less about applying them properly. The extent of my expertise is mascara and a little bronzer (eyeliner too, if I feel adventurous...or like poking myself in the eye). I wasn't always this way -- back in my "straight hair" days, I wore makeup all the time. I felt like I needed makeup to "complete my look" -- rather than a means of enhancing my appearance, makeup became my crutch. I didn't feel attractive, pretty, or ready for the day without it. When I began dating my current boyfriend Samuel in 2010, I was still pretty into makeup (although I had ditched the bright eyeshadows). He insisted that I didn't need the makeup, and that I was beautiful as-is. 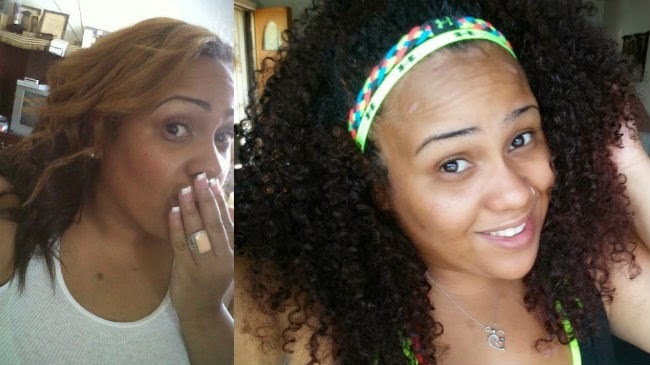 I only halfway believed him (haha) at the time, but the real change came when I decided to go natural. And this is on one of those more adventurous date nights. My decision to ditch makeup (and only dabble in a little bit on date night) almost entirely is a reflection of who I am at this stage in my life. Anybody that knows me knows that I'm all about comfortable. I wear wash and go's because they're easy, and I don't have to worry about my hair should the weather change (but seriously, I'm in LA) or if I decide to embark on a random adventure. I own more workout clothes than regular clothes, because I'm active and the clothes are sooooo comfy. I avoid heels like the plague. I don't wear any makeup because I've grown to feel comfortable in my own skin. Besides, if I go missing -- I want to help make it a little easier to find me (please laugh, that was a joke). In more recent months, I've noticed a trend in the natural hair community. A lot of ladies love makeup. Bold makeup. I'm talking beat faces like they live at MAC (and some of them do work there!) or have a personal MUA at their vanity every morning. Now, I'm not here to knock or judge. By all means, do you! But I do have some questions. Forgive me now if any of this offends you. I don't mean to offend, disrespect, or shade anyone. These are just my honest thoughts and feelings, and are in no way the gospel according to Naturally Curly.